They watched a man named Armstrong walk upon the moon" John Stewart, "Armstrong"
Has it really been forty years? It doesn't seem that long ago. But the calendar and the television specials all say that forty years have passed since that fateful day on July 20th. On May 25th, 1961, President Kennedy had said "First, I believe that this nation should commit itself to achieving the goal, before this decade is out, of landing a man on the Moon and returning him safely to the Earth. No single space project in this period will be more impressive to mankind, or more important for the long-range exploration of space; and none will be so difficult or expensive to accomplish." America rolled up its sleeves and got out its slide rules. We had put Alan Shepard into space and John Glenn was slated to go next. The Mercury Astronauts caught not only the imagination of the country but of the world. Every little boy and girl it seemed wanted to either be the Beatles or an astronaut. I wanted to be an astronaut but slide-rules and math confounded the crap out of me. And they still do. We rolled out of bed in the early, early hours of the morning to watch the launches, breaths held as the countdown went down to zero and the button was pushed. Televisions were rolled into schoolrooms around the country, including Las Vegas, so that we could track their progress. The Mercury astronauts gave way to the Gemini Project and Ed White became the first American to walk in space. Each step brought us closer to the goal of going to the moon. All of this during a decade of turmoil and conflict the likes of which this country hadn't seen in a hundred years. The Civil Rights movement, the loss of JFK, the Vietnam War, the youth movement, free speech, the anti-war movement, the silent majority are part of our history of the 1960s. But through it all, even in the dark days (and we had our share of dark, dark days back then), the resolve to complete JFK's dream of putting a man on the moon by the end of the decade stayed strong. We lost Mercury astronaut Virgil "Gus" Grissom, the beloved Ed White and Roger Chaffee on the launch pad in the Apollo One fire in 1967 and for a brief moment our resolve wavered. But instead of scraping the idea, NASA and the country moved forward determined to solve the problems and hold the course. In December of 1968, Apollo Eight with Frank Borman, Jim Lovell and Williams Anders became, not only the first Americans, but the first ever to orbit the moon. That Christmas Eve they read Bible passages to the world from outer space. As the 1960s were coming to a close, the decade seemed to be imploding on itself. What had once seemed like a shining, optimistic beacon had become the very opposite. Death, violence and drugs had taken over and the decade seemed like it was spiraling out of control. But on a July afternoon in 1969, that shining optimism was recaptured and reborn as the Lunar Module with Neil Armstrong and "Buzz" Aldrin landed on the moon. Around the world, people stopped what they were doing to watch history being made. In Las Vegas, it was a Sunday afternoon. At our house, we stopped and watched. In the casinos on Fremont Street and on the Las Vegas Strip, gamblers were doing what they do best, gambling away. Televisions had been set up around the casinos on both Fremont Street and the Strip so that patrons could watch if they wanted to. 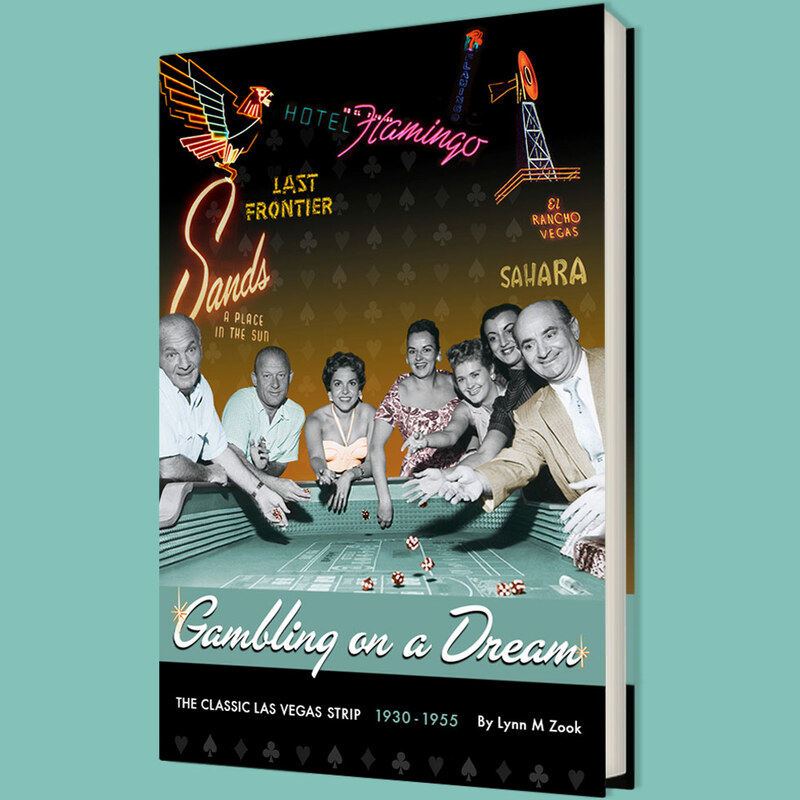 Growing up in Las Vegas, we all know how difficult it is to get gamblers away from the tables and we know the stories of how it is next to impossible to get people to leave slot machines. But on the Sunday afternoon up and down Fremont Street and up and down the Strip, they did just that. They stopped gambling to watch Neil Armstrong descend from the lunar module and "take one small step for man, one giant leap for mankind" before erupting in applause and tears. It was a shared historic moment felt the world over and that included Las Vegas. I know what you're thinking. They could have gone upstairs to their rooms and watched. But it was one of those moments in history when you wanted to be with other people and share the experience. The Space Race which had begun twelve years earlier with the launch of Sputnik One by the Russians ended with Americans landing on the moon. We had completed the dream that President Kennedy had set forth eight years earlier with slide rules, mainframe computers and American ingenuity. And the world held their breath and then cheered with delight as Neil Armstrong set foot upon the moon, July 20th 1969. The 1960s would all but officially come to a close two and half weeks later with the Manson Family killing spree in Los Angeles. But, for a brief shining moment on that fateful July afternoon, we reminded ourselves and the world of what the best of America could be. Turner Classic Movies will highlight the anniversary of the Moon Landing this evening with Astronaut Edwin "Buzz" Aldrin as guest programmer with TCM host, Robert Osborne. Films include "For All Mankind" and my personal favorite, "The Right Stuff". You know where I'll be. The only other time that televisions were rolled into casinos and bars on the Strip and Downtown was in the aftermath of President Kennedy's assassination in Dallas in November, 1963. Like the moon landing, patrons could have gone to their rooms to watch the coverage. Instead they huddled in bars, lounges and around televisions in the casinos following the reports. Chester Sims, general manager of the Flamingo that fateful weekend, always maintained the Flamingo closed its casino. On September 11th, 2001, television screens were the norm in bars and in the sports bars so that televisions didn't have to be rolled into casino areas.